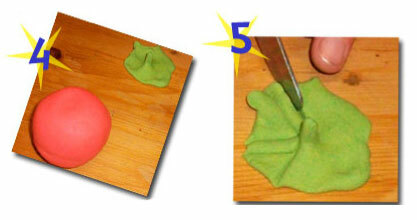 Here are some step-by-step projects that you can follow to make all sorts of fantastic Air Dough creations. From a play breakfast fry-up to a candy cane for the Christmas tree. Click on an item in the list below to see the steps and make it for yourself. We hope that these will give you creative inspiration to develop and play with your own Air Dough Sculptures… If you have some ideas that you think others would benefit from please send them to us and we will post them here. 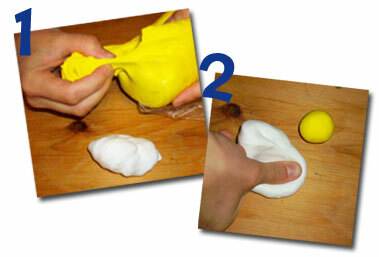 1 Take an egg sized piece of white and a yolk size piece of yellow air dough. 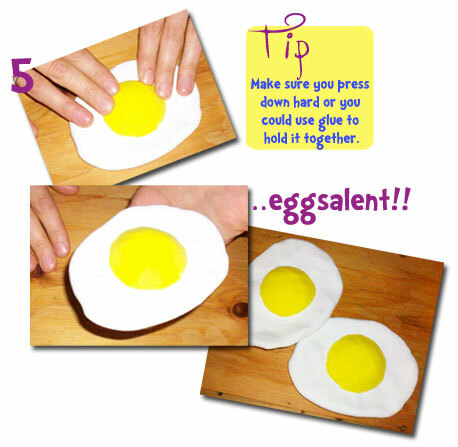 2 Roll the yellow piece into a small ball and flatten the white piece out in to a fried egg shape. 3 Once you are happy with the shape of your white, place the yellow ball in the middle and push down with the palm of your hand. 4 Gently smooth the ball into the white piece keeping a ‘dome’ like shape. 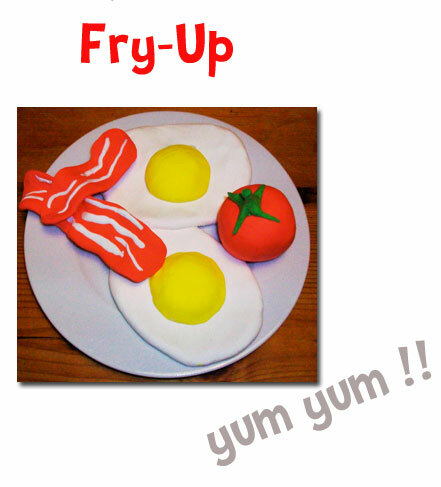 5 Press around the edges, as to make sure it sticks and hey presto there’s a fried egg!! 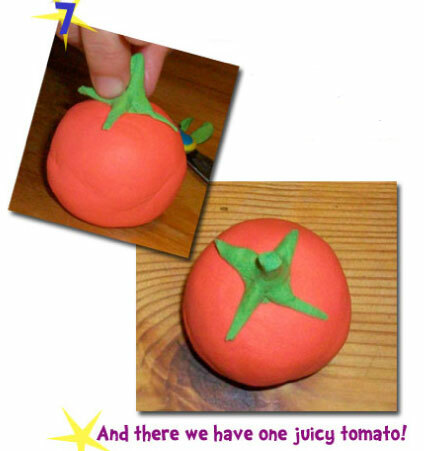 1 Get some red and roll into a ball (tomato sized) and small pieces of blue and yellow. 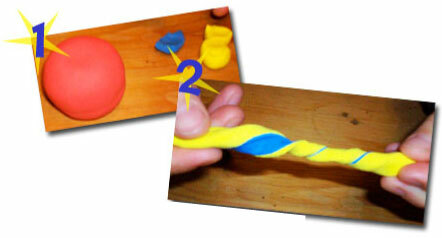 2 Start to twist the blue and the yellow together like shown. 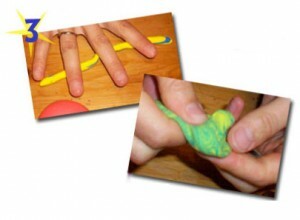 3 Keep twisting and rolling the two, and warming it up in your hands will help the two colours mix to make the colour green!! 4 Once you have made the green colour make a bit thats sticks up to represent the stem. 5 Get a safety knife, as not to cut any fingers, and cut four thin pieces as shown. 6 Take off the access parts and you will have a star like shape. 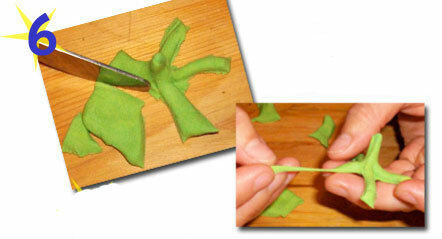 Then just stretch them out slightly to get a better shape, as shown. 1 Start of with some thin strips of white air dough and some red. 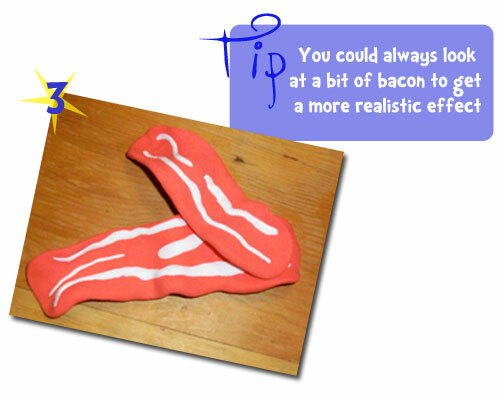 make the red into a bacon shape. 2 Gently press the white strips onto the red, to represent the fat one bacon. 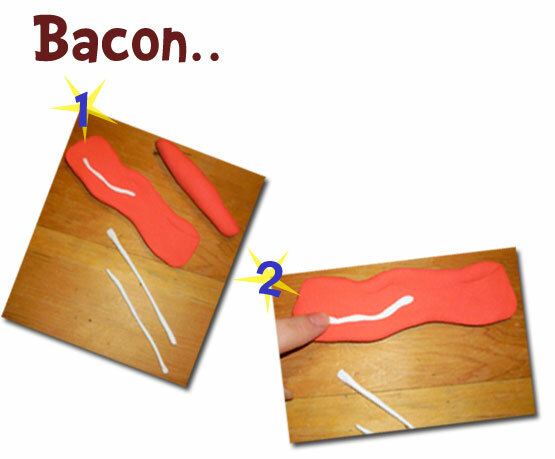 3 Put thin and thicks bits on white on, and there you have some tasty bacon. I think that could make a pretty tasty…..
to make some fruity projects!